Fur, Airhead, Roman Flugel, Martin Buttrich, Glühen 4 and more. 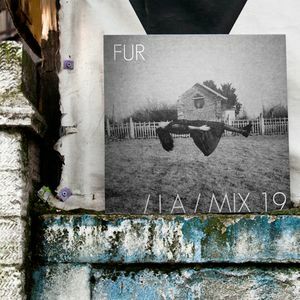 FUR AKA Bryce Isbell produces music that operates at the dancier end of the chillwave spectrum, almost a hybrid of ambient techno but in FUR’s case it’s lo-fi. Since I’ve been in contact with Bryce, a lot has changed in regards of his music and FUR as a project. His mix reflects the music he has grown akin with in the past few months, featuring tracks from Roman Flügel, Pigon, Pawel, MyMy, Jan Jelinek and of course FUR. It’s a deep journey into his world of ambient electronica and glitchy deep house. I’ll leave you with a short explanation from Bryce himself, about his inspiration behind the mix and of course the full interview.